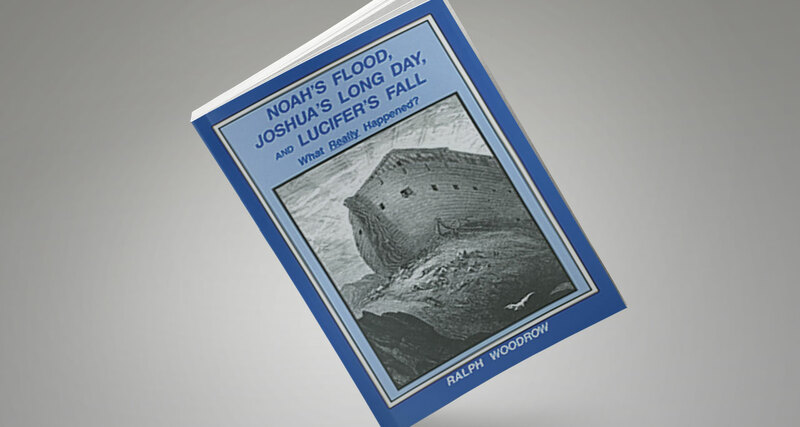 Noah’s Flood, Joshua’s Long Day, and Lucifer’s Fall—What Really Happened? This interesting study, without dogmatism, shows why many biblical scholars believe the Flood was regional, not worldwide. Discusses questions like: Was the ark large enough to hold pairs of every animal in the world? Did the ark come to rest on the mountain that today is called “Mount Ararat”? Has the ark been frozen in ice for thousands of years? If the Flood covered every mountain on earth, where did this amount of water come from? And what became of the water when the Flood subsided? Even a book written to defend the universal Flood, admits that if all the water in our present atmosphere were suddenly precipitated, it would only cover the ground to an average depth of less than two inches. Did Joshua’s command to the sun cause almost a day of “missing time”? Joshua’s words clearly meant he wanted the sun to STOP. But did this mean stop moving, or stop shining? Did the sun go backwards for 40 minutes in the days of Hezekiah? What about other verses that say the cycle of the sun has never been interrupted? Was “Lucifer” an angel who sinned against God, was cast out of heaven, and became the Devil? Biblical scholar Adam Clarke said: “This text [Isaiah 14:12] speaks nothing at all concerning Satan or his fall.” Even The Amplified Bible includes a note: “Some students feel that the application of the name Lucifer to Satan, in spite of the long and confident teaching to that effect, is erroneous,” pointing out this was a later development. Regarding each of these three subjects—Noah’s flood, Joshua’s long day, and Lucifer’s fall—this book presents an alternate viewpoint for the readers’ consideration. Joshua’s Longest Day—How Long Was It? Was Satan Once an Angel in Heaven?